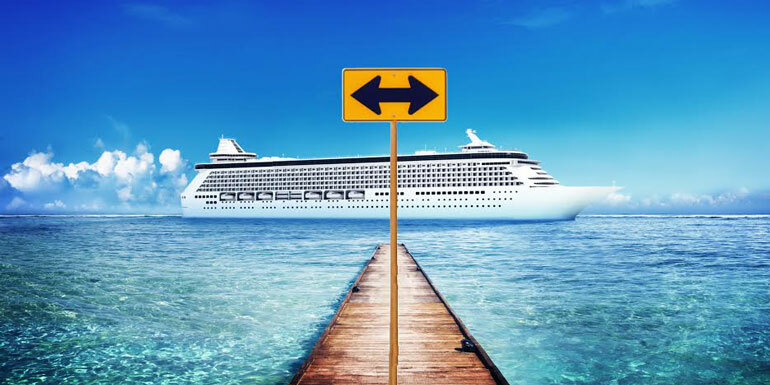 Would You Rather: Cruise Edition! Our Pick: You can get on the level of the college kids if you’re liberal enough with your drinks (just don’t expect to bounce back the next day like they do), but there’s nothing you can do to match the unbridled energy of the roving packs of 12 year olds fueled by free soda drink packages and the pure, ecstatic joy of not being in school. Pass the funnel. Our Pick: Everyone has a private island in the Caribbean, so we’d go with Mediterranean to impress our non-existent billionaire friends. Our Pick: Future. If Royal Caribbean hasn’t upgraded their FloRiders to HoverRiders by then we will be sorely disappointed. Our Pick: We had to think hard about this one, but we're going with our favorite celebrity because the memories will last us for a lifetime. Our Pick: Fun fact: you can actually do either one with the Star Trek and Duck Dynasty theme cruises. Personally, we're preparing the tender boat for the away team because even though Shatner is in his eighties, something tells us we’d be the ones struggling to keep up. Our Pick: Either one. The people watching is going to be interesting either way. Our Pick: Trying to catch up with your ship isn’t easy, but dealing with getting back into the country without the proper ID is a nightmare we don’t ever want to deal with. Our Pick: As much as we love the idea of being able to grill our own steak on Silversea, our mouth is watering just thinking about all that greasy goodness. Add your own would you rather question here!